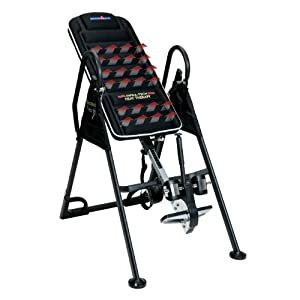 The Teeter EP-960 inversion table is (along with the similar EP-970 model), widely regarded as one of the best Teeter inversion tables available. 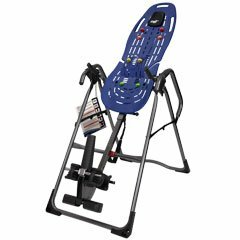 In addition to this Teeter are widely regarded by many, as the best inversion table brand to consider. Making the Ep-960, one of the best in the business! If you have read through our post on inversion table features, you will quickly notice just from the images of the EP-960, that this table is packed with extra features. All of which add so much to an already exceptionally designed inversion table! The Teeter Ep-960 is suitable for users between the heights of 4 ft 8″ up to 6 ft 6″, with a maximum weight capacity of 300 lbs. 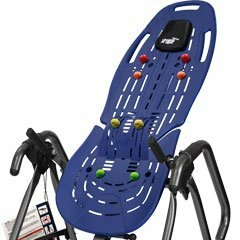 *Please note – this is the Teeter EP-960 Ltd model which comes with acupressure nodes and a lumbar bridge included (more on these later). The only difference between the EP-960 Ltd and standard 960 are these additions and therefore all of the other features below apply to both the Ltd and standard models. You can also view the slightly cheaper, standard EP-960 model on visiting the retailer that does not include these added extras. The nodes and bridge are also available for purchase separately. 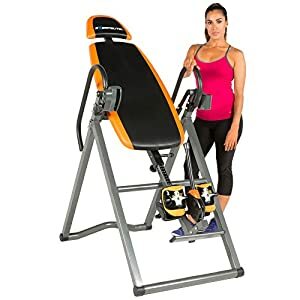 If you have already had a look around at other inversion tables, you may be thinking the backrests on Teeter tables do not look as good as many of the padded inversion tables. 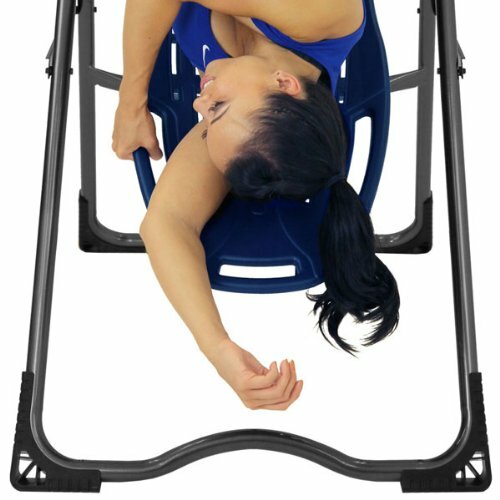 However, inversion tables from Teeter opt for this particular style of backrest as it is far more effective for spinal decompression. Especially when compared to padded backrests that allow the body to sink into them. Whereas a padded backrest creates more friction due to the body sinking into it, on a smooth Teeter backrest you can effortlessly slide down the backrest way more easily. You can therefore fully stretch out your spine and back muscles more easily. The EP-960 Teeter backrest also features 3 built in stretch grips, 2 each side of the padded black headrest and one at the top of the table bed above the headrest. These grips allow for even more stretching options that simply would not be possible on an inversion table with a padded bed! If you are worried at all that the Teeter bed may not be as comfortable as other models. Simply take a look at the reviews from buyers in the next tab, they are sure to convince you otherwise! One last thing to mention is the thin lines you’ll have noticed scattered around the backrest. These are present so you can add additional features to the backrest such as the lumbar bridge and acupressure nodes. You can even add a Teeter branded comfort cushion (not included with Ltd or standard model) should you insist upon having a padded backrest! Although an inversion angle limiting tether strap isn’t exactly a mind blowing feature, the tether straps on Teeter tables are a bit better than other tables. This is mainly due to the fact that they have incremental angle markings at 20, 40 and 60 degrees, making it easy to limit the inversion angle more precisely. As with all tether strap angle limiters you have the option to remove the strap, should you not wish your inversion to be limited! The patented EZ reach ankle lock is a really nice feature which significantly reduces the need to bend while securing your ankles into the Ergo Embrace ankle supports. The ankle lock features triple lock security for exceptional safety while inverting, while the ergonomic ankle supports ensure that weight is evenly and comfortably distributed around the feet. The long side handles that feature on the EP-960 are a fairly standard addition to most inversion tables. They are particularly useful for help when returning to the upright position after inversion and can also be used for additional stretching. On the other hand, the inclusion of traction handles is something you are unlikely to find on other inversion tables. The traction handles on this Teeter table allow the user the option of increasing decompression at lower angles. They can also be used for oscillation while inverted for even more decompression aid. One last stretching implement is built into the lower floor bar at the back of the inversion table. In the featured images above, you can see the bar raises in the middle allowing the user to easily grab hold of the bar when inverted to stretch out. Both the acupressure nodes and lumbar bridge come included with the EP-960 Ltd package or they can be purchased separately. The lumbar bridge is a great addition for adding support and deeper decompression to the lower back area while inverting. Depending on your preference, you can adjust the lumbar bridge to protrude more outwards from the table or have it provide a more subtle curve. As you can see in the image to the right, below and above the bridge support are various indents for these adjustments. The 8 colorful acupressure nodes can also be placed throughout various locations over the ComforTrak bed. They can even be placed upon the lumbar bridge due to the bridge also containing the required placement slots. The eight nodes come in pairs and each pair varies in height to provide varying degrees of pressure. While upon the bed you can shift your weight around the nodes to provide a shiatsu style massage sensation, or simply rest to maintain steady pressure. Is the Teeter EP-960 A good choice? When it comes to a Teeter inversion table, you can always expect it to be a very good choice of table. 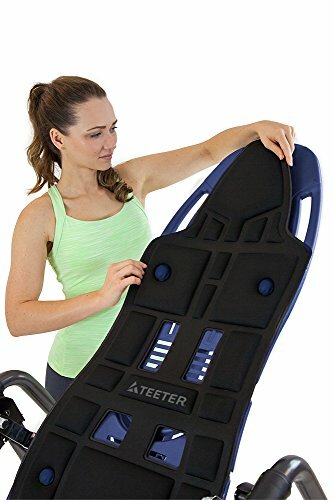 After all, Teeter are a brand that puts everything into making their inversion tables very high quality and very safe. Unlike other inversion tables, Teeter tables are FDA registered medical devices and are put through very rigorous testing, to ensure their high quality and effectiveness is always at its best. Anyone in doubt of just how good the Teeter brand is, need only read some of the buyer reviews in the next tab or on visiting the retailer. 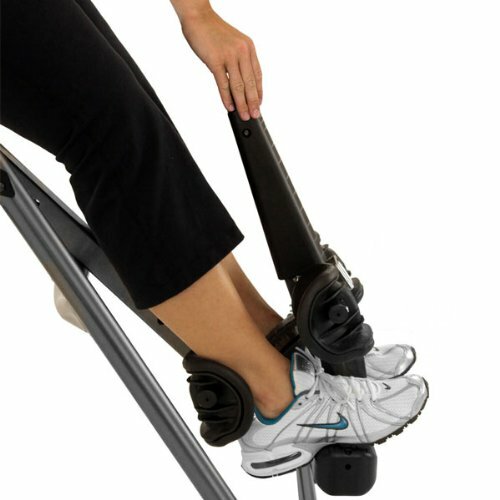 The Teeter EP-960 Ltd is not only high in quality, it is also comfortable and very effective for back pain issues. The one minor problem for some may however be the price. 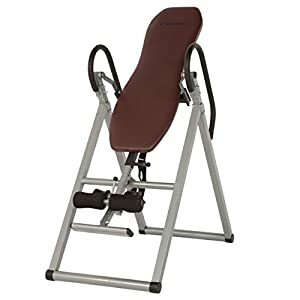 It is certainly debatable if this is the best inversion table around, however it is certainly among the best that are on offer.